A reform of public sector services is needed to deal with the pressures of austerity measures and to manage the politics of finance – cutting services alone is not enough. That was the key conclusion of the sixth International Public Sector Conference, held by ACCA (the Association of Chartered Certified Accountants). Held at the Inmarsat Conference Centre in London, the keynote speaker at this year’s conference, entitled Putting politics into finance, was Northern Ireland Finance Minister Simon Hamilton. Simon Hamilton said: “Financial information sets the context and underpins political decision-making for the Northern Ireland Executive’s Ministers. “The tightening public spending environment provides an opportunity for radical change and reform of public services. Redesigning and restructuring our public sector will not be quick or easy, but it is necessary and needs up-front investment that will garner long-term benefits. Discussion panels were held during the conference, with the Auditor General of Victoria, Australia; Controller of Audit at the UK’s soon-to-be defunct Audit Commission; the finance manager at the Ministry of Finance in Sri Lanka; and lecturers and professors at prominent UK universities. They discussed financial reporting and its impact on decision-making, as well as the issue of holding governments to account for their actions. There was also a panel discussion on creating trust in public services. Mario Abela, leader in research and development at the International Federation of Accountants (IFAC), gave a presentation on the development of financial reporting. He also pointed out that citizens are faced with financial statements which are impenetrable – where governments have attempted to be transparent, not enough has been done to help explain what story they tell. Dr Mah Hui Lim, former professor and international banker and author of Nowhere to Hide, spoke about financial industry practices and malpractices, and structural imbalances in the international economy that still persist in this period of recession. Dr Lim said: “To reduce inequality wages need to rise in tandem with productivity growth.” In response to questions about how to hold culprits of both illegal and dubious financial activities to account, he thought that fines had limited inpact on behaviour because of the potential financial rewards. A better deterrent might be wider use of jail sentences. Anthony Harbinson, ACCA’s president and director of Safer Communities’ Safety at the Department of Justice in Northern Ireland, gave the closing speech. 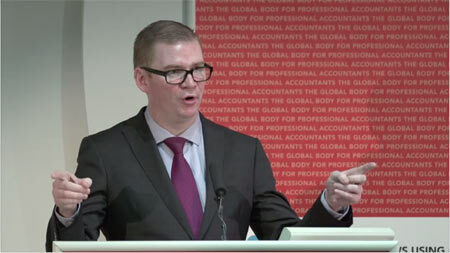 He said: “At ACCA, we have more members in the public sector than any other accountancy body. “It is the job of the finance professional to ensure that people understand what is in the financial statements and that the information is as clear and transparent as possible, so that this information can be relayed to other parties, such as the general public, or the media. 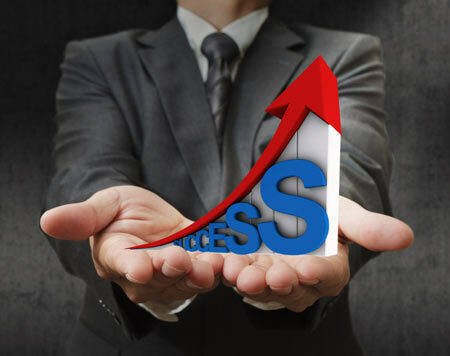 “The media plays an important role in relaying information to the general public. So if they don’t understand it, misinformation occurs. We need to stop that from happening. Chris Ridley, ACCA’s public sector policy manager, who gave a presentation on new reporting developments at the conference, said: “This year’s conference has held an interesting debate about how closely aligned finance and politics really is.” He further stressed the importance of linking finance to the outcomes produced by an organisation and for the information to be presented in a format that could be easily understood by non-accountants.